Hold your nose as a stinkbomb becomes a deadly weapon in Henry’s war with Moody Margaret! Giggle in glee as Mrs Battle-Axe is ticked off by the school Head – and chortle as Henry uses all his guile to win the school reading competition, only to find that the longed-for prize is not at all what he expected! Horrid Henry is back with a bang! horrid henry is back but this time with smelly stinkbombs so wach out!!!!!!!!!!!!! 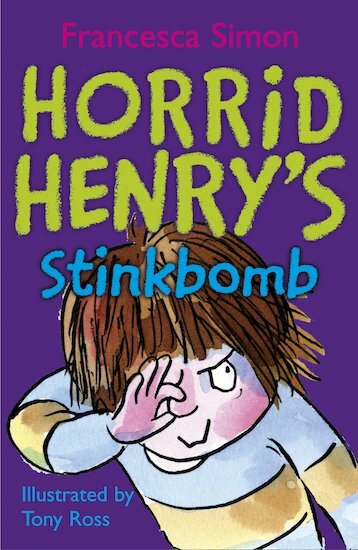 horrid henrys stinkbomb is one of my favrouite horrid henry books. it is very funny and my favrouite story in the book is horrid henry reads a book. it is really funny when horrid henry changes perfect peters book on his book list!